Dr. Mike Roberts, Assistant Professor in the School of Kinesiology, was recently awarded a $150,000 grant by Muscle Pharm Corp. for three studies to test performance supplements. Another company, 4Life, Inc. has donated $200,000 over two years to support students in the Molecular and Applied Sciences Lab. The first Muscle Pharm study examined the effects of whey protein on muscle protein synthesis after resistance exercise. Using a rat model, the lab aimed to determine if whey protein contributed to muscle building compared to a placebo group. The lab measured the rate at which skeletal muscle creates new proteins. The lab also measured signaling molecules in the muscle that turns on this process. Dr. Roberts and his students observed an increase in the rate of synthesis in the whey protein group. The second study investigated the effects of Branch Chain Amino Acids (BCAAs) on performance and immune variables in well-trained cyclists. For ten weeks, participants supplemented with 12 grams per day of BCAAs. Certain performance variables increased, including peak power. The time to complete a four-kilometer sprint also improved, and remarkably, some immune variables improved as well. The BCAAs tended to lower the amount of neutrophils in the body. An elevated amount of neutrophils, a type of white blood cell, can mean greater inflammation in athletes. Hence, beyond the performance benefits, Dr. Roberts’ group has determined that BCAAs may boost immune health in cyclists that engage in high volume training over several weeks or months. The lab is currently conducting the third study funded by Muscle Pharm. It examines the effects of BCAAs on preventing damage from resistance training. They will determine whether the supplement improves recovery from rigorous weight lifting. Thirty male, human subjects perform a pre- and post-test. 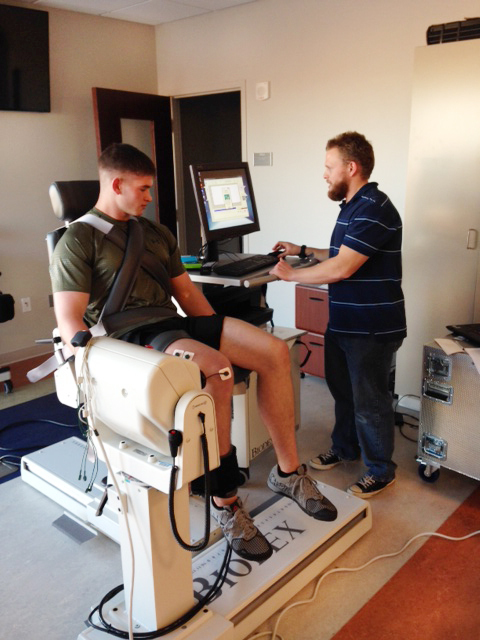 These tests involve lower body strength measures, blood measures, and muscle function assessment. Between the tests, the subjects do high-volume lower-body weight lifting over three consecutive days. The researchers hope to reach conclusions by early April, but hypothesize that BCAAs will preserve strength and reduce markers of muscle damage compared to the placebo group. The $200,000 donated by 4Life, Inc. from 2013 to 2015 has and will continue to support graduate and undergraduate student salaries in the lab. It will also help the lab establish molecular techniques related to muscle metabolism, fat metabolism, and immune function. Research projects provide graduate students an opportunity to be published and complete a dissertation. The funds from 4Life also assist with the cost of conference travel for graduate students. This is valuable for networking and seeking post-doctorate fellowships and professional positions.